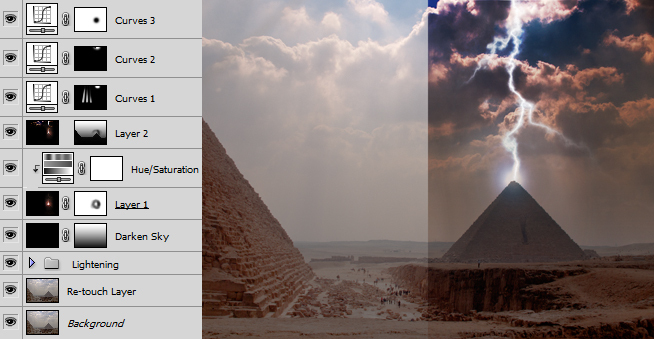 These are the Pyramids of Giza in Egypt. Lightning is hard to shot during the day. You need a very long shutter speed to stand a chance of catching a strike. But when you point at the sky it does not take long to overexpose even with the smallest aperture. This shot was taken through the window of a moving bus so I relied on this technique to get my lightning. I was trilled to discover this image has sparked a debate on the bitcoin forum between physicists and the alien theorists. It has also been used on page 33 of The Sun Despite me telling the news agency the lightning was photoshopped the daily mail claimed it was real. 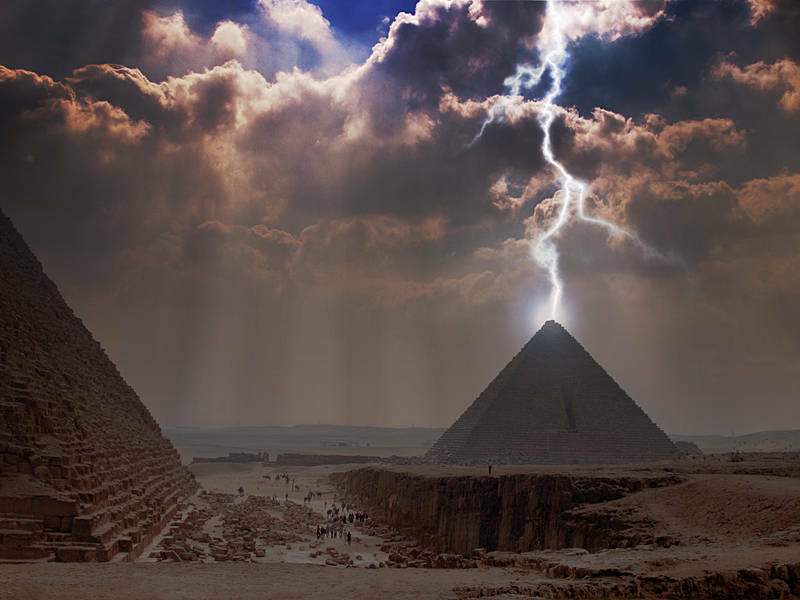 The pyramid is real, The lightning is fake.